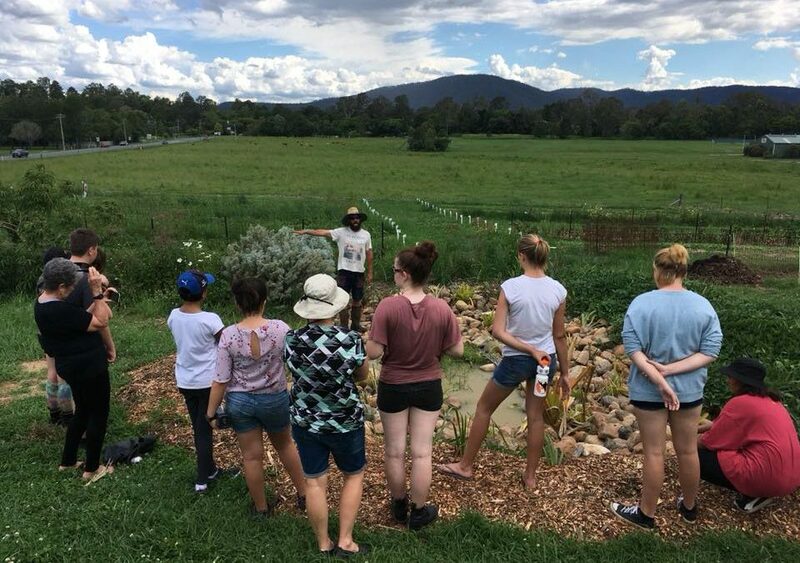 It took a lot of commitment from fifteen year nine students from four secondary schools to immerse themselves in a six day educational program at Samford Commons in December 2017. At a time when most students are relaxing in the last week of the year these students took part in a unique experience encompassing the so called STEAM curriculum – Science, Technology, Engineering, the Arts and Mathematics…. with a healthy dash of leadership, culture and innovation thrown in. Students and teachers had plenty to say about the experience rating it in the 90% range as a learning program. Led by four teachers with 31 local and other experts leading sessions the students described it as ‘a wonderful learning experience’. Whether it was the time spent with the famous Dr Fiona Simpson and her cancer research team at the Translational Research Institute or the robotics at QUT and Samford Commons, or even simply camping out at the Commons Glasshouse, students loved the chance to meet other students and immerse themselves in their practical challenges. The early morning nature walk through the Eco Corridor, the exploration of the bush tucker forest at Camp Mountain, the survival challenge at the Scout Park and the creation of a group art piece all stimulated great excitement, challenges and new friendships. Experienced educators described the program as a unique learning program in Australia and the business owners in Samford who led sessions on the sustainability of their business also recognised the wonderful opportunities students were being given. Samford Commons and participating schools at Mitchelton High School, Samford Valley Steiner School , Hillbrook Anglican College and Noosa and District High School are grateful for the contributions made by the 31 people who led the program. Special thanks to Mitchelton State High who helped fund the program and who were our Lead School. Plans are afoot for similar challenging and exciting programs to be run with local primary schools in 2018.